Sharing my process for increasing efficiency and productivity for when you have 2 hours or less during the day to work. So what does it actually look like when I’m working from home with three kids? I get messages all the time from people in Shift University asking me how I get so much work done when it seems like I’m so busy. First things first – you never know what’s going on behind social media. I never want to paint this picture that everything is perfect. We have lots of tough days. I have lots of days where I’m struggling to get work done. 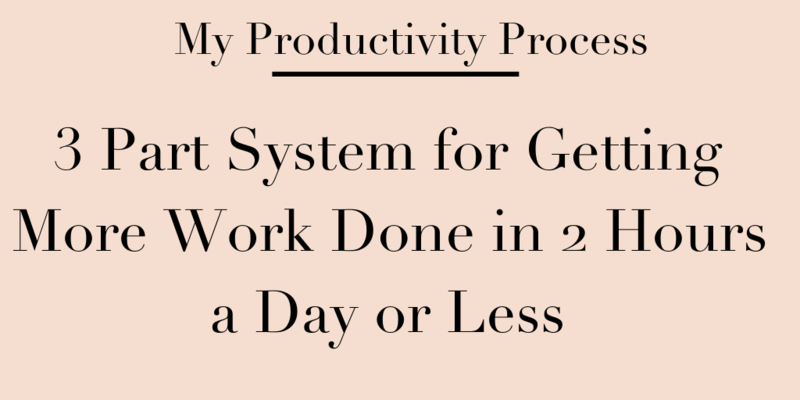 Today I’m sharing my three part system to get more work done in two hours or less a day. This process helps me focus on what I need to get done in the course of the day, and I give myself a little grace with everything else. I believe that you do not need to work tons of hours to get to a place of success in your business. You don’t need to be hustling all the time. My life and my kids always come first. If I’m not enjoying my life, if I’m not enjoying what I’m doing, then what’s the point of being in this business? I really want you to know that you don’t need to work all of time, especially at the beginning of your business. If you are feeling short on time with a massively long to do this, here are my secrets. The number one problem that people have is sitting in their comfort zones. This might be tough love, but busywork tasks are things like spending hours on social media or doing exactly what you know is not going to move your business forward. If you’re short on time and you want to grow your business, then you need to do activities every day that are going to get you outside of your comfort zone. It is going to get uncomfortable. 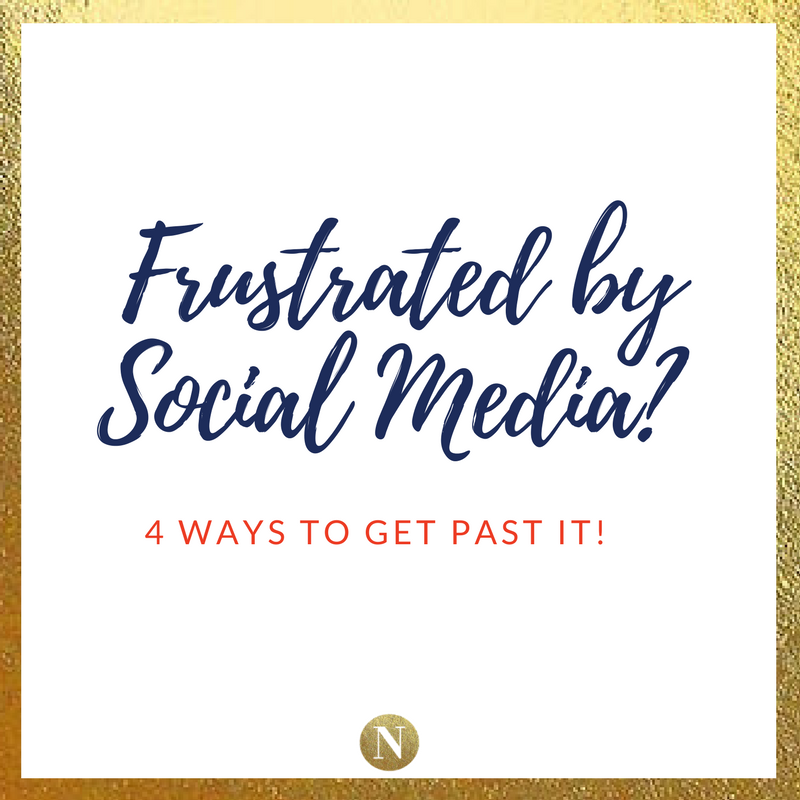 It’s going to make you feel like you are struggling and you may be questioning what you’re doing and you may wish that you could go back to scrolling on Instagram. I’ve been there! I used to sit on Instagram all day before I had kids, but now I’ve been able to grow my business because I’m a mom, not despite of it. Becoming a mom has made me a super implementer because I don’t have time not to be. When I feel like I’m sitting in safe tasks in my inbox, I give myself a quick reality check and I say, “Do I want to be comfortable or do I want to help more people?”. Once I decide that I want to help more people, I focus on impact tasks. Your impact tasks are your things that you need to do to move your business forward. They are things that specifically generate profit. 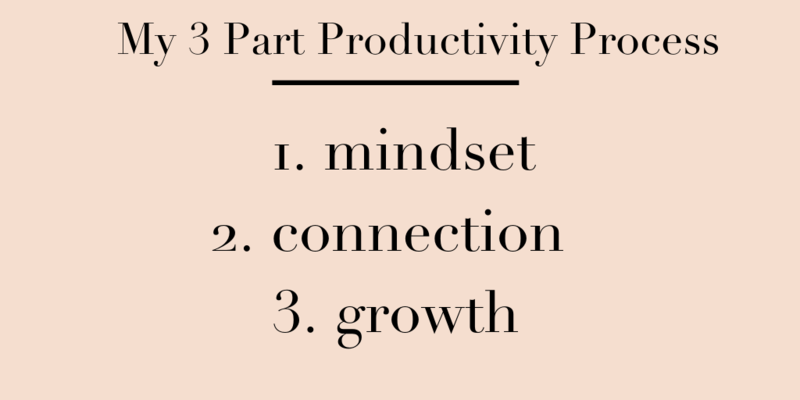 There are three categories of impact tasks that I focus on: mindset, connection, and growth. I do some type of work on mindset every single day. Working on my mindset is in my category of impact tasks because it keeps me in check and it keeps me focused on an abundance mindset. It keeps me focused on happiness, joy and serving my people to my highest degree possible. Don’t know how to work on your mindset? You can journal, or practice gratitude. You can wake up and say all the things you’re thankful for. You can listen to free videos on youtube or listen to podcasts. You can read books (I like “You Are A Badass” by Jen Sincero) and/ or meditate. All of these things can be for free! I recommend doing this for a minimum of 10 minutes a day but remember, it’s what can fit into your life. I just want you to make it a habit to start somewhere. I connect with the relationships that I have. By connecting with audience members or clients that I already have, I strengthen my business. I like to be intentional about my connection. I do so by setting aside some time, setting a timer and speaking directly to who I want to reach. You’ll be surprised at how much you get done in 10-15 minutes. The third category of impact tasks is growth. This is growth related to your audience or growth related to profit. If you’re really short on time, you want to focus on profit until you can go back to audience growth. 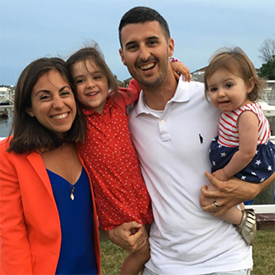 The reason for that is because, especially when you’re just starting out and you want to find a way to quit your full time job or hire childcare for your kids, you need to focus on making money. We talk about this in Shift University, especially with the local leverage method. So if you want to be focusing on money growth, you need to do those impact activities that tie to money every single day. I’ll tell you that these can be the most uncomfortable. This usually involves outreach, pitching yourself, emailing people, getting on the phone, making phone calls, showing up at local events, giving talks, doing demos. I understand it’s out of your comfort zone, but it’s exactly how we grow. Growth for your community can involve your email list and writing tranformational content for your people. To motivate yourself, think about where you want to be in a year from now. Think about how much time can you devote to each category of impact tasks. Is it 10 minutes each? Is it 20 minutes each? I would focus on mindset growth, and then community so you can really get outside of your comfort zone. You’re going to see major movement in your business and then you can focus on growth. Do this every single day for the next 30 days, and then I want you to tell me how much progress you’ve seen. Where can you find me? Get on the waitlist for Shift University. I can’t wait to see you inside that community because I know you are ready. 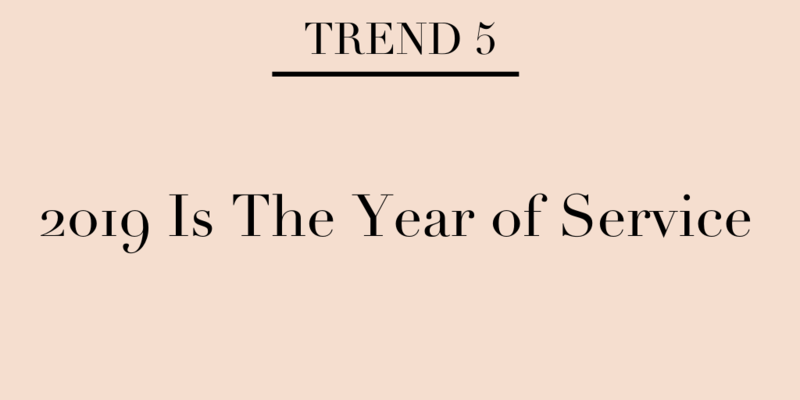 The 5 tips you need to be focusing on to see growth as a blogger or influencer in 2019 so you can stand out and move forward. Let’s talk about growth in 2019! Things that were working one or two, three or more years ago, may not be getting you the results you need, but I have some really great tips to share with you. Through SHIFT University and the Influencer Intensive group coaching. I work with hundreds of bloggers and influencers every single month. I can see what’s working from a big picture view, which helps me predict trends before they happen. Let’s focus on the good! Right now, it’s easier than ever to start a blog. Technology does not get in the way like it used to. There are so many ways that you can start a website and it’s easy to do yourself or it’s easy to hire someone. That’s great news! It’s also easy to start an Instagram or Facebook account. THAT is awesome. If you’re here because you want to see growth, then let me just commend you for making a decision and deciding to start to do something to help people. Because, you DO help people. The downside is that more people are doing this. There’s more noise because others are creating content, too because it’s easy. 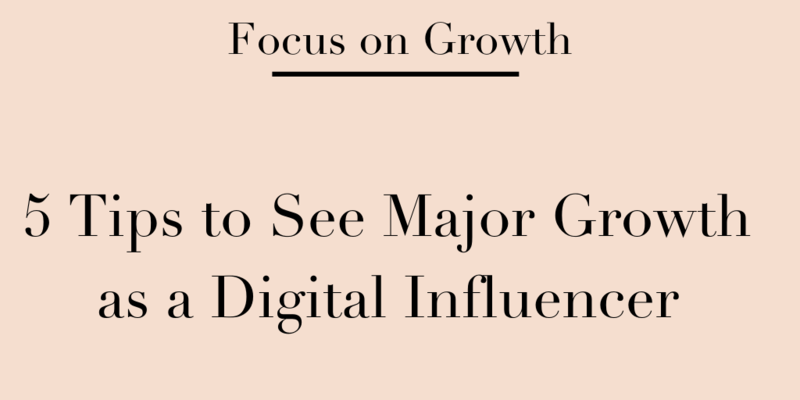 So, now we have to figure out how we see growth when there are so many people that are doing what we’re doing. Before we go forward, I want you, if you are really looking for a systematic way to see growth in 2019, to join the wait list to for Shift University. We’re opening up registration soon and when you join you actually get access to my framework, the influencer income engine blueprints and the accelerator, which is basically like my Harry Potter sorting hat. 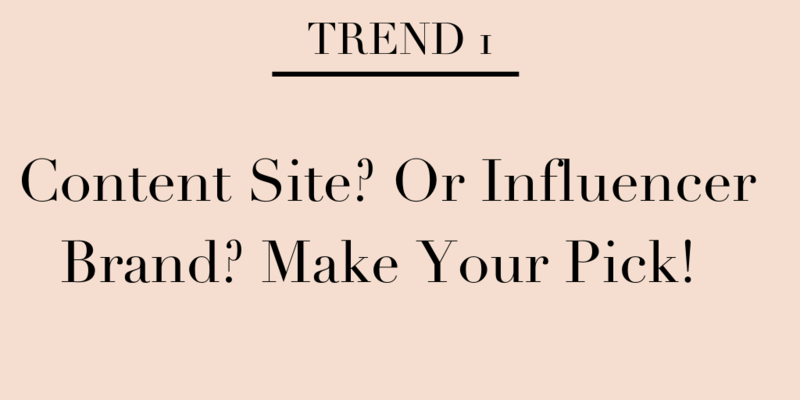 It tells you exactly what stage you’re at as an influencer, as a blogger, as a business owner. From there, we can plan your route to growth. So, if you want access to the accelerator and you want access to my blueprint, then you’re going to want to be on that wait list so you can find out how to sign up. Now, Let’s talk about five tips you can put into action right now to see growth as a blogger and influencer in 2019. The first tip is to use my Give to Get framework. If you want to see traction, if you want to build an engaged audience, then you are going to have to post your content directly on your social channels. A big mistake I see making see people making is before they have built an audience on social media, they are trying to get drive traffic to their blog. They are trying to post little snippets on Instagram and drive traffic, but this is like bringing cookies to people you just met. If you have something to offer people, and you ask them to come back to your house to get it, most likely, they won’t come. But if you bring the cookies (or the content) to them, they will. If you want to see traction, if you want to prove to people that you have delicious cookies or whatever your content is, you have to post your content on your social channels. Now, for those of you who are who are saying, well then I’m going to miss out on SEO and traffic, then you can also post this content to your blog and you can start building an audience right away. But you have to show on social media that what you are saying is trustworthy and that you can deliver what you’re promising. So that’s the first tip. If you want to see more traction then use the give to get framework and give people the content that they want, exactly where they are. My second tip is find a sub niche. You not only have to now niche down, but you have to find a sub niche. So, my sub niche is actually food bloggers. Now this does not mean that 100% of my audience is food bloggers. I also work with people that consider themselves food photographers, recipe developers, fitness instructors, personal trainers, book writers, etc. I work with people across all different niches, but I have sub niche down. We talk about this more within the Serial Method. You can’t serve everyone so you really have to think about who are you talking to and what problems you solve. How can you sub niche down even further and solve more problems for your people? How can you talk to your people more specifically? An example would be, don’t just focus on paleo recipes. Focus on five ingredient, paleo recipes. You can see great examples of this even on Netflix where they are coming out with some really specific documentaries for people because they know that they can sub niche down and really serve a particular audience, and people binge on the content. Stay tuned for more on the Serial Method when we open that up again. 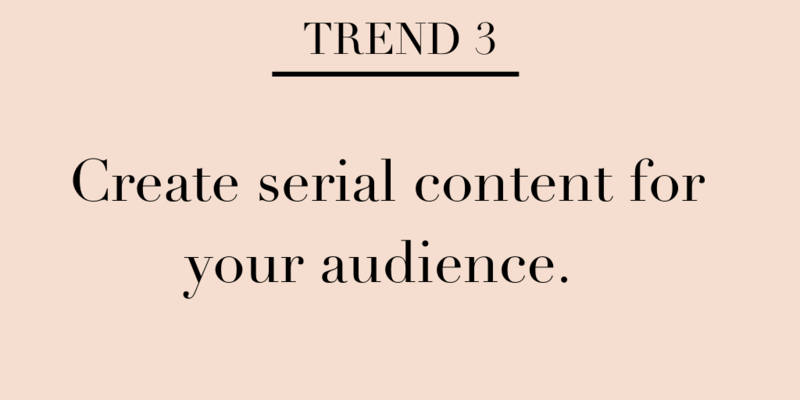 Tip number three, collaborate with other people. 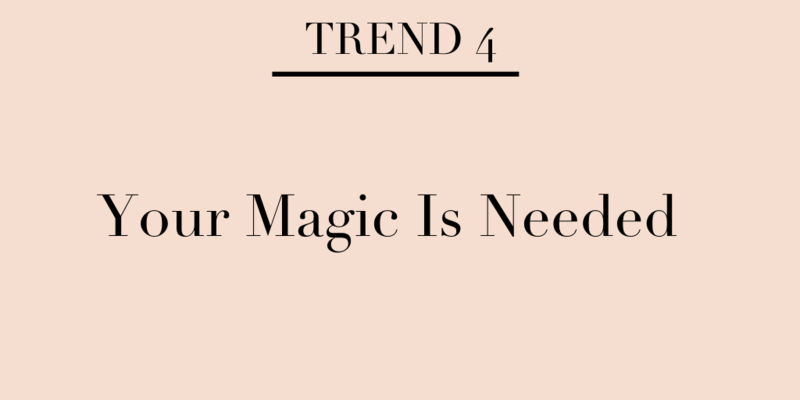 Don’t wait until you have a certain number of traffic or followers or some magical number that is going to unlock the doors of everything because that’s not what happens. Be the expert. Offer up help to someone’s audience, and have something of value that you offer. Be specific and purposeful, and start with the relationships you have. Now, a lot of people get into some misconception that you should only collaborate with people who have a larger audience than you. I 100% disagree with that advice. It is great to start to collaborate with friends and people who have similar size audiences as you. Now that doesn’t mean to not pitch yourself to someone with a larger audience, but it’s great to start with people who are in your circle. Now, this is one of those things where people can live in fear, but if you want to grow, then I really encourage you to start collaborating at least once a month. Tip number four, don’t just contribute noise. This is a big one. This might sound harsh. But, I’m all about giving you some tough love so you can move forward. Like I said, the number of content creators out there is growing by the day. It’s no longer good enough to just solve a simple problem. People are tired of more and more content. They’re feeling overwhelmed. If you are feeling overwhelmed by what’s in your inbox, by what’s in your feed, by what’s going on, your people are the same way. It’s important that we move beyond just contributing basic content and solving simple problems to taking the next step. What is the transformation you offer? So again, we are talking about all of these things not only in shifts you with my specific blueprint, but in the Serial Method. My fifth tips is do not wait until perfection. 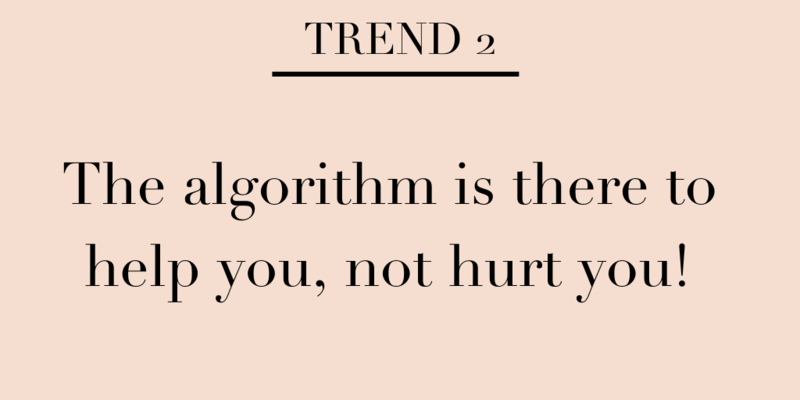 This is maybe the most important tip. Do not wait until your website is perfect. Do not wait until you have the perfect feed or the perfect Instagram bio. Offer up what you have. There are people in this world that need you. So how can you continue to move forward and offer up what you have? How can you continue to serve and help people? How can you serve and help them and get out of your own way? So don’t wait until it’s perfect. Don’t wait until the perfect timing. It’s always perfect timing. How can you just accept that everything is unfolding exactly the way that it’s meant to be and get out there? Let me know what a-ha moments you had after reading this! To recap, here’s what to do to see growth this year: post your content on your social channels, give your people what they want and need. Sub niche, sub niche. Don’t just talk to everyone. Do collaborations with other people in this space. Don’t just contribute noise. Make great content, give your people an experience and think about the transformation you offer. And finally, don’t just wait until it’s perfect. Offer up your expertise and serve your people. I can’t wait to see the growth that you have as a business in 2019. How do you know it’s time to take a break and just take care of yourself? My theme for the past few weeks here has been working on taking care of yourself, avoiding frustration and moving past it to feel really good? People are worried about facebook and page engagement, but really when you look at the info directly from facebook – it’s not the time to freak out. They’re testing out different page and feed layouts in countries like Sri Lanka, not the united states. They also said IF they decide to roll it out here it won’t be for a few months. So before we jump ship on facebook and go into a hole, I want you to do two things. Figure out how you can serve your audience. It all comes back to helping and serving. If you take care of your people, they’re going to find you. Make sure you have a place to connect outisde of social media! Use your email list. 2. Figure out how to take care of yourself. And I want you to know you’re not alone and that we CAN fix this and feel excited about our businesses again! 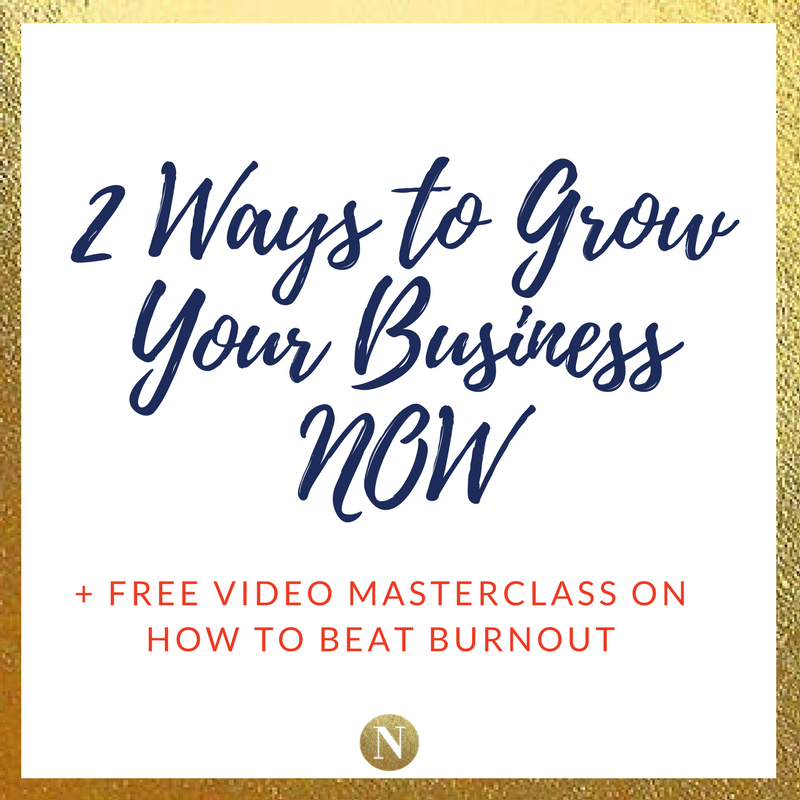 I’m sharing with you ways to feel really good about your business AND a free training from the last Food Summit with Georgie Morley. She’s talking about what she does to come back from feeling burned out. Two weeks ago I was feeling really heavy, frustrated, burned out…and overall negative…but I had NO idea why. I had a support call with Adrienne Dorison and she asked me one question that really helped me unravel my feelings of confusion, burnout and frustration. She asked me: What are you doing that feels really heavy, not fun and like a TON of work for you? I created a two week free trial to test out in the group after a free challenge I held. I feel very “mama bear” about who I let in the Blogger to Business group and I really only want people who are truly aligned with the mission + purpose of the group. I don’t run the group for just numbers. 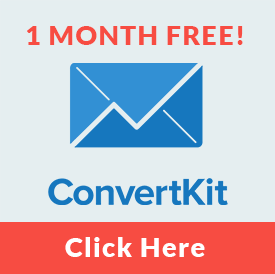 I don’t do it to hit an easy X amount of money per month in recurring revenue. While that would be great, I run the group to provide support + accountability (and RESOURCES) for women who want to be a part of a group of entrepreneurs who have their back. 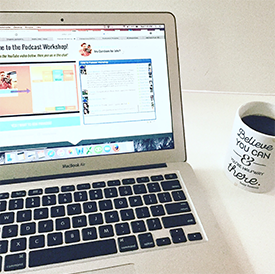 So…when I decided to test out a free two week trial of the group, I was nervous about it. It didn’t align with my purpose for the group. Honestly, it just didn’t work out that well and I’ll probably never run a free two week trial again. I was left kind of bummed out, but I had no idea why. I was just…kind of in a funk. When I had the call with Adrienne it allowed me to step back and discover what was going on…and made me aware of the burn out path. I don’t need to run my business how anyone else runs theirs. Find a mentor/coach/support group who you can lean on and talk with. What are you doing that you really love? What do you do that is fun + light and makes you feel really good? What are you doing the feels heavy and is dragging you down? How can you change this and prevent or walk away or improve your burn out? Talk with someone who has your back and try to dig into WHY you’re feeling this way. Journal daily and start with gratitude. Join a group of people who get it. Try another impactful task in it’s place. Hire someone to do what isn’t in your zone of genius. When I let go of what I SHOULD be doing… that’s when my growth started happening. Why don’t you deserve to run a blog and business that you love? Why NOT you? So together, let’s improve burn out and the quality of our businesses. 2018 Planning Party coming December 4th and the Viral Content Summit starts January 3rd! Tickets go on sale mid December and early bird tickets will be $199! If you want to be added to the 2018 Planning Party go here! We’ll be writing, creating and planning goals and projects that WORK! Find Your Focus, Make Your Plan, Increase Your Profits! Make this your most profitable year yet! Frustrated over the Instagram Algorithm? Here’s what to do! The frustration over the decrease in Instagram likes and comments has been mounting. I really feel your pain and frustration, especially when it comes to HOURS and HOURS of work you’re putting in. You’re absolutely not alone! This post goes into platform frustration and offers some other ways to use your time to help you break out of the frustration…and have success again! Disney’s Frozen was so 2016 for us, but that theme song really says something. What am I talking about? Your frustration (and mine…) . …in my group. In other groups. In my inbox in emails…it’s everywhere. I don’t have the answer to what the heck is going on with the algorithms, but I do want to just give a reality check here. The easiest way to get over frustration…is to just let it go. When we find ourselves getting so heated and irate over social media platforms…then we need to re-access. I know…it’s your business, but it’s also a platform. Just *one* platform out there. Let it go and try something new. Over the summer I was frustrated. I had a different type of platform frustration. After a year a half of podcasts, way over 100,000k downloads, 197 episodes (and a third pregnancy!) I was planning on taking a nice summer break. I lined up interviews, I had huge intentions of taking the summer off from interviews and pre-scheduling everything out for the entire summer. I got everything ready. Except… I could not bring myself to edit and schedule those interviews. I would write it down every single day…and then not do it. This is extremely NOT like me. I’m an action taker. I got more and more frustrated with myself for not doing it. It was putting a damper on my summer. Until one day I woke up and just said, I HAVE to let this go. I was so concentrated on what I “should” be doing (the podcast) and how I thought I should be growing my business, that I never stopped to think about the fact I CAN and SHOULD take a break. Katy Widrick has these two wise questions, “is it working? Is it fun?” And the second one was a big fat NO for me. So I took an unplanned hiatus. I just stopped. …and you know what nothing happened. Nothing broke. I actually figured out where I should spend MORE time that produced BIGGER results. I got inside my communities and made connections. I collaborated in other ways. What are you holding onto, that is making you completely crazy? Ask yourself, is it fun? Is it working? Now if your frustration is coming from Instagram or Pinterest, let’s try some other things out. Switch it up. Create content in a different way. Do something you don’t usually do. Do videos, live stories, boomerangs, something outside your comfort zone. Reach out to your audience. Email them. Get on the phone with two people. See how you can help them. How can you spend your time differently? If you free up time from your frustration platform, how can you spend time to have MAXIMUM impact on your business? I officially give you permission to take a break from what’s frustrating you. Go for a walk. Listen to a podcast. Connect with a friend. Connect with your audience. I challenge you to walk away from the thing that is frustrating you this week! Hit reply and tell me what you’re going to do instead! A re-set is always a good thing! Plus, as a bonus you may find yourself more inspired than ever! 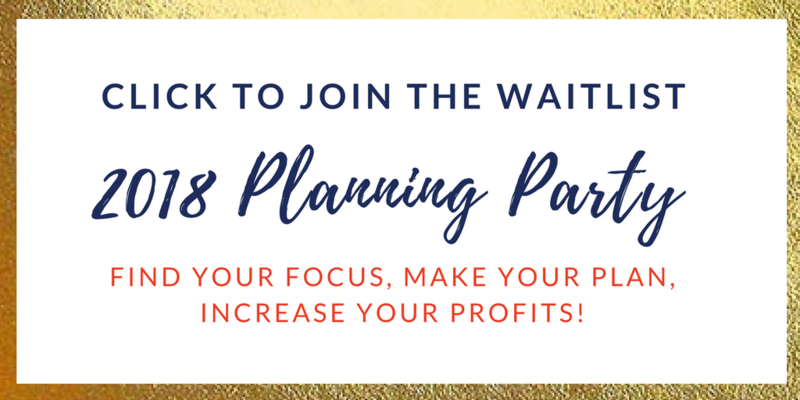 If you want to be added to the 2018 Planning Party Wait List go here! We’ll be writing, creating and planning goals and projects that WORK! 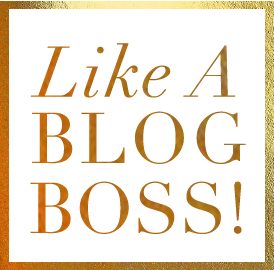 https://nicoleculver.co/wp-content/uploads/2017/10/how-does-the-instagram-algorithm-work.png 800 800 Nicole C https://nicoleculver.co/wp-content/uploads/2017/08/Nicole-Culver-Logo.png Nicole C2017-10-16 20:00:382017-10-19 14:15:20Frustrated over the Instagram Algorithm? Here's what to do!